Inspired Review gives insight into the new company website. With all the success stories we have had over the past year and a half, we feel it is time to provide the industry with our “secret sauce” and create some defensible, repeatable, low-cost standards. To close out 2014, Inspired Review is very pleased to announce the launch of the newly refined company website. While maintaining Inspired Review’s creative appearance, the new website contains an extensive range of content from the description of services to full team biographies. It includes sections explaining the heart behind the company, articles written by the leadership at Inspired Review and career opportunities. Inspired highlights the business models which differentiate the company from any other managed review firm. Additionally, the website connects with engaging social media accounts including a blog, which keeps up-to-date with industry trends, news and changes. Most notably, the company’s website includes an area which features a monthly charity that Inspired Review commits a portion of company profits to. This section also allows visitors to donate by linking them to the designated donation page of each charity. With engaging photos, mobile functionality and the right amount of information, the Inspired Review website ensures to captivate the attention of users in its creative appeal and ease of use. Inspired Review’s client base and revenue has grown exceptionally in 2014 and expects an even greater pace in 2015. 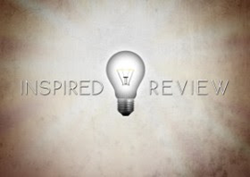 Inspired Review is the most groundbreaking document review firm in the industry up to date. The firm prides itself on a fixed-price per document model created by highly successful executive and recognized legal expert, CEO,Michael Dalewitz, Esq. Creating aligned incentives with the attorneys performing review, the corporate client, the law firm and the vendor, Inspired Review has created a predictable, low-cost model that can rival all US based cost structures, and even offshore. With statistically validated quality control, developed in-depth validation and targeted search methodologies and integrity, Inspired Review ensures the defensibility of your review and minimizes any risk of error. The firm currently has a 100% client repeat/retention ratio. Inspired Review is also very concerned with igniting change in the world by giving back. A percentage of all the company’s profits are donated to a charity of the client’s choice.